Meghanlata Gupta is a current sophomore at Yale with a major in sociocultural anthropology. 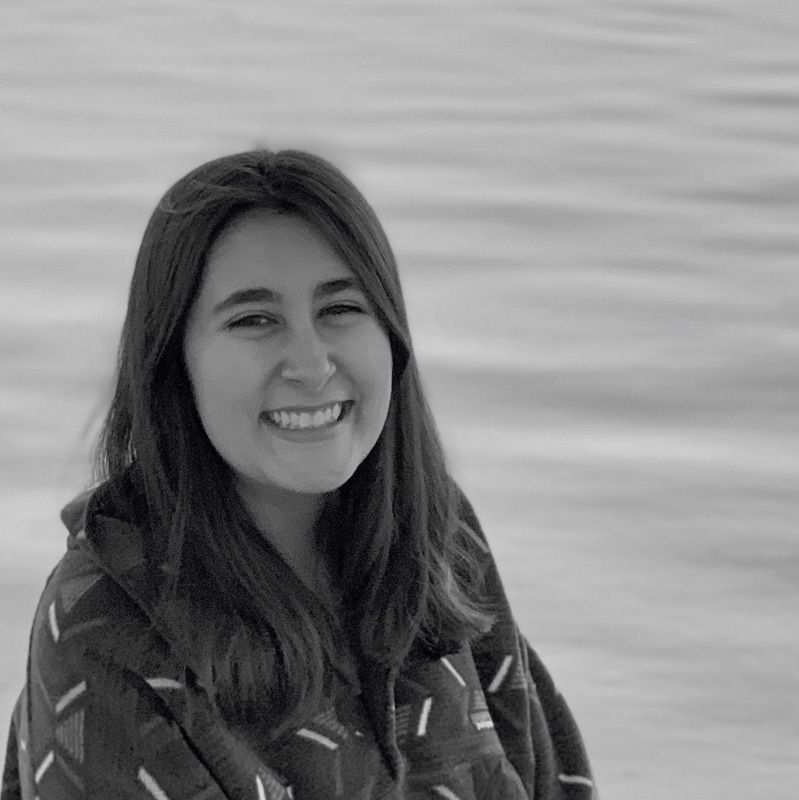 Her interests lie at the intersection between Native American law and policy, land management, and Tribal health in the West and throughout the United States. Meghan will be writing a series of blog posts focused on wild bison management in the West. Brucellosis, known specifically as Brucella abortus when referring to cattle and bison, is a notifiable infectious disease that results from contact with animals who carry the Brucella bacteria. The bacteria does not affect the general health of the infected animal, but it wreaks havoc on reproductive health. Symptoms of an infected cow include abortion, stillborn, extremely weak calves, the retention or infection of the fetal membranes, and even infertility. Currently, there are no treatment options for brucellosis in cattle and bison; however, there is an available vaccine that has proven to be successful in preventing future possible infection. Due to the nature and severity of brucellosis, cattle ranchers are quite active in their efforts to detect and prevent the disease in their herds. Specifically, cattle ranchers in and around the Greater Yellowstone Ecosystem worry that wild bison carrying brucellosis will migrate outside of the park and come into contact with the cattle. Pressured by these cattle ranchers and recognizing the enormous impact of ranchers on the local economy, the Yellowstone National Park administration has erected strict boundary lines to keep wild bison within the confines of Yellowstone National Park and to avoid bison-to-cattle contact. Park officials have also established a yearly cull of the wild bison population to keep numbers low and reduce migration out of the park. Yellowstone National Park officials have estimated the population to be around 4,527 in August 2018, with hundreds of bison killed each year in the cull. The practice of bison-culling has inspired tense debate in the local community about the relationship between the ranching industry and bison management in the Greater Yellowstone Ecosystem. 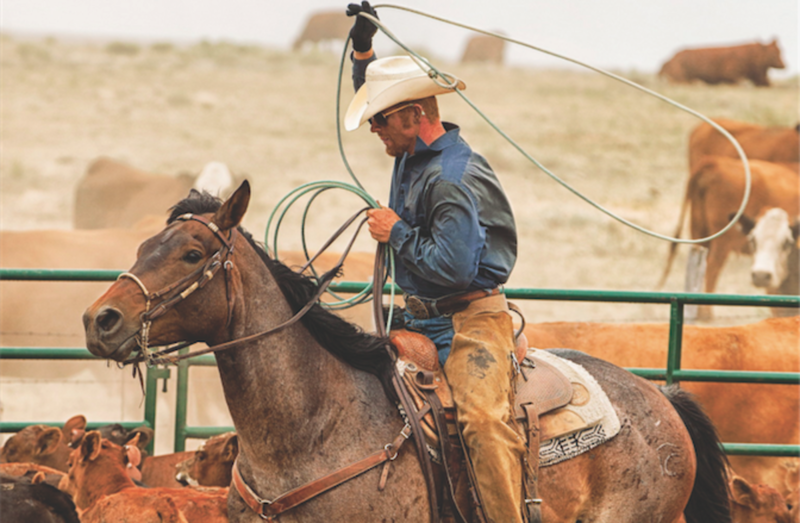 Many ranchers residing in and around the ecosystem have strong anti-bison sentiments due to the threat that bison pose to the health of their heard—and, ultimately, their livelihood. The state governments of Idaho, Montana, and Wyoming share similar beliefs. They depend on the agricultural revenue from big ranching groups in the area, so they are hesitant to reduce limitations on wild bison. In contrast, environmental groups engaged in this debate advocate for both an end to the yearly cull and stronger efforts to conserve the species. They argue that bison are wildly successful in shaping their habitats by changing chemical and physical environments, increasing soil and plant availability, and promoting healthy ecosystem processes. 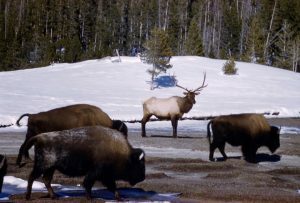 Furthermore, Native American tribes that claim historic ties to the Greater Yellowstone Ecosystem seek a management plan that preserves the bison population and allows for Indigenous use of the bison for traditional practices, such as for food and traditional medicine and spiritual ceremonies. The well-being of Native peoples in the West relies on their ability to continue following traditional practices and values. Upon a further inspection of brucellosis transmission, the issue becomes even more complex. Although there have been no cases of documented bison-to-cattle brucellosis transmission, according to the National Park Service, bison are still periodically slaughtered for precautionary measures. Additionally, there is no established elk cull in the Greater Yellowstone Ecosystem despite the fact that there are regular cases of elk-to-cattle brucellosis transmission in the area. In thinking about these facts, we must move past the narrative of brucellosis and attempt to understand the deep social, cultural, and economic tensions over wild bison in the West. This entry was posted in Community, People, Public Lands, Soil, Uncategorized, Wildlife and tagged Meghanlata Gupta. Bookmark the permalink.